What is the Common European Asylum System? The issue of asylum and the refugee crisis in Europe played a very significant part in the debate on Britain’s continuing membership of the European Union in the run up to the Brexit referendum in June 2016. Many commentators consider that the issue of immigration proved decisive, in fact, and many members of the public consistently and massively over-estimate the number of refugees contributing to overall migration figures. Despite the prominence of the issue, particularly prior to June 2016, the UK government has been virtually silent on its future plans for asylum policy. Media coverage of asylum issues has massively subsided in the meantime. 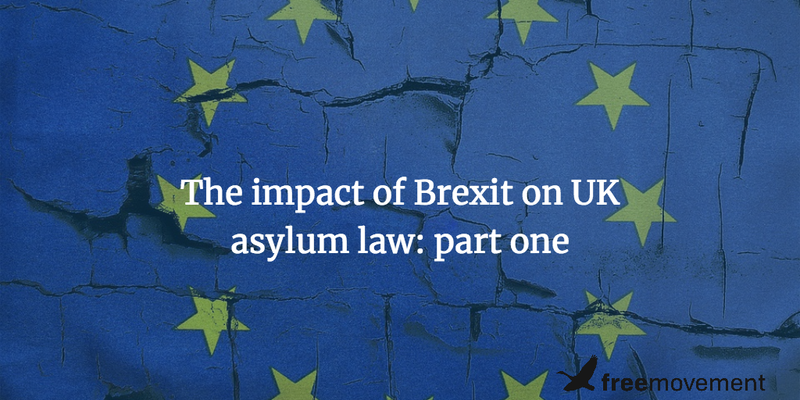 Nevertheless, following the outcome of the referendum, the UK will be leaving the European Union to “take back control.” Looking at this in the context of asylum law and process, what might the impact of Brexit be? To answer this question, first we have to understand what the UK is actually leaving behind. Accessible guide to the law and practice of refugee status determination in the UK including examples, arguments and common scenarios. Directive 2004/83/EC, known as the Qualification Directive, has become one of the primary sources of refugee law in the UK and across the European Union. Other aspects of the holistic European Common Asylum System such as the Reception Directive and the Dublin Convention have had a huge impact on the practicalities and processes of claiming asylum, right down to the number of asylum claimants reaching the UK. Withdrawal from these legal instruments is likely to have a profound effect on processes but it is arguable that the impact on refugee law in the UK will be relatively slight given that EU asylum law in effect “levelled up” to pre-existing UK standards in many ways. 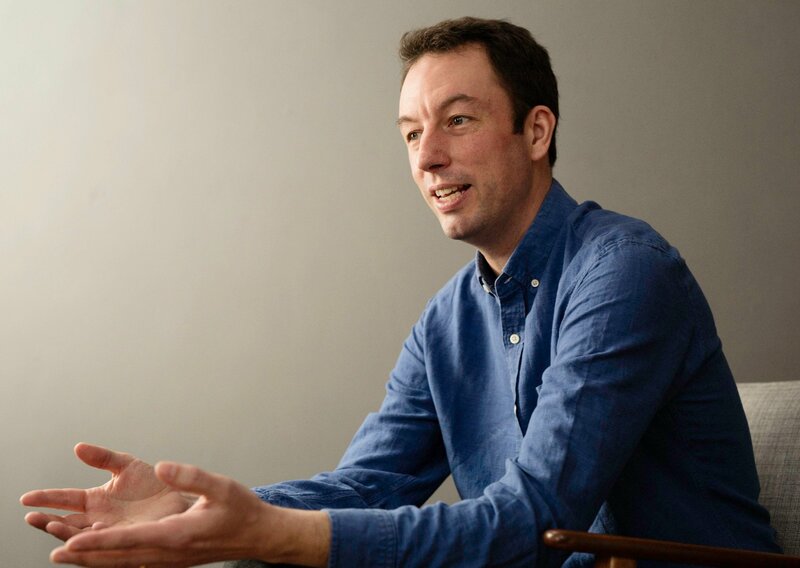 The type of Brexit currently being pursued by the UK government will almost certain involve leaving the Common European Asylum System (CEAS) along with the rest of EU law. Whether EU law generally and specifically the CEAS will apply during any transitional arrangement remains unknown at the time of writing. To consider the impact of leaving the CEAS, first we have to understand what it is. To evaluate the chances of remaining within it despite leaving the EU, in whole or in part, we have to understand whence it came and where it may go in future. In the early to mid 1990s the breakup of former Yugoslavia led to conflict within Europe, creating hundreds of thousands of refugees. This influx highlighted differences in the recognition and treatment of refugees by different Member States of the EU. Member states decided to take steps to harmonise asylum standards and so the idea of a Common European Asylum System was born. Differing social welfare entitlements for asylum seekers. The idea was that by harmonising asylum systems and standards, asylum seekers would no longer “shop around”. If they did, they would sent back whence they came, to their initial point of entry. 1. The Union shall constitute an area of freedom, security and justice with respect for fundamental rights and the different legal systems and traditions of the Member States. 1. The Union shall develop a common policy on asylum, subsidiary protection and temporary protection with a view to offering appropriate status to any third-country national requiring inter­ national protection and ensuring compliance with the principle of non-refoulement. This policy must be in accordance with the Geneva Convention of 28 July 1951 and the Protocol of 31 January 1967 relating to the status of refugees, and other relevant treaties. (g) partnership and cooperation with third countries for the purpose of managing inflows of people applying for asylum or subsidiary or temporary protection. 3. In the event of one or more Member States being confronted by an emergency situation characterised by a sudden inflow of nationals of third countries, the Council, on a proposal from the Commission, may adopt provisional measures for the benefit of the Member State(s) concerned. It shall act after consulting the European Parliament. With this legal framework in place, Member States proceeded to do as they had agreed. This culminated in the Tampere Agreement in 1999, named after the Finnish town in which the initial agreements were reached. The temporary protection directive was intended to address mass influx of refuges. It is dead letter law, however, and has never been used despite the max influx of 2015 onwards. Once the first phase was complete, in 2013 Member States then proceeded to re-examine and re-write all but the Temporary Protection Directive. The new versions of the legislation are often described as “recast”. The recast versions tend to be rather longer and more complex than the originals and, because of changes in the meantime to the EU legislative process, namely the use of Qualified Majority Voting and a role for the European Parliament, tend to be slightly improved from the point of view of refugee protection. The European Commission announced in COM(2016) 197 final on 6 April 2016 that it would be proposing new consolidated instruments on asylum. The plans were intended to address the supposed weaknesses in asylum procedures across Europe highlighted by the mass influx of refugees in 2015. In particular, it was felt that the Dublin system was not fair and was not working effectively in any event, and there was still too much variation in the treatment of asylum seekers and recognition of refugees between Member States. Amend the Dublin Regulation by either streamlining and supplementing it with a corrective fairness mechanism or moving to a new system based on a distribution key. Adapt the Eurodac system to reflect changes in the Dublin mechanism and expanding its purpose beyond asylum. A new Regulation establishing a single common asylum procedure in the EU and replacing the Asylum Procedures Directive, a new Qualification Regulation replacing the Qualification Directive and targeted modifications of the Reception Conditions Directive. Amend the European Asylum Support Office’s mandate so it can play a new policy-implementing role as well as a strengthened operational role and providing sufficient financial resources and legal means for that purpose. This would include “a fully harmonised list of safe countries of origin at EU level” which would enable certain applications to be declared inadmissible where protection was considered at EU level to be available in a third country. Such as Turkey or Libya, one assumes. The proposal will extend the scope of the Eurodac Regulation to include the possibility for Member States to store and search data belonging to third-country nationals or stateless persons who are not applicants for international protection and found irregularly staying in the EU, so that they can be identified for return and readmission purposes. In full compliance with data protection rules, it will also allow Member States to store more personal data in Eurodac, such as names, dates of birth, nationalities, identity details or travel documents, and facial images of individuals. Increasing the information in the system will allow immigration and asylum authorities to easily identify an irregular third-country national or asylum applicant without having to request the information from another Member State separately, as is currently the case. The proposal will transform the existing European Asylum Support Office into a fully-fledged European Union Agency for Asylum with an enhanced mandate and considerably expanded tasks to address any structural weaknesses that arise in the application of the EU’s asylum system. One of the main new tasks of the Agency will be to operate the reference key in order to apply the fairness mechanism under the new Dublin system. The Agency will also be tasked with ensuring a greater convergence in the assessment of applications for international protection across the Union, strengthening the practical cooperation and information exchange between Member States and promoting Union law and operational standards regarding asylum procedures, reception conditions and protection needs. This will include the possibility to deploy asylum support teams from a reserve of experts composed of a minimum of 500 experts from Member States and experts seconded by the Agency, as well as a capacity to provide operational and technical assistance in cases where a Member State is subject to disproportionate pressure which places exceptionally heavy and urgent demands on its asylum or reception systems. The UK announced shortly before the Brexit referendum that it would not be taking part in the new common asylum system and it seems highly unlikely that position will have changed since the outcome of the referendum. The point of outlining these proposals is to make clear that the CEAS is not a static “done deal”, it is dynamic and evolving. Given the convergence in the second phase of CEAS and the plans for further convergence, the CEAS looks increasingly like a set menu rather than one which is à la carte. There is no reason to think that the UK will reduce standards of reception, treatment and recognition of asylum seekers and refugees. Undoubtedly, though, leaving the minimum standards regime of the Common European Asylum System opens up the possibility that the UK could do so. This is the very point of “take back control” after all. The UK’s adherence to the UN 1951 Refugee Convention and the European Convention on Human Rights is unaffected by our departure from the EU. We will work with partners in the EU and beyond to ensure a comprehensive and compassionate approach to those needing protection. The UK is currently opted into some of the legal instruments in the Common European Asylum System, notably the Dublin III Regulation, and the first versions of the Asylum Procedures, Qualifications and Reception Conditions directives. While the terms of the Dublin III Regulation as they currently apply to the UK will not continue, we are ready to discuss the nature of a future relationship between the UK and EU member states on establishing the responsible member state for processing an asylum claim. We will review whether to amend our law in respect of the obligations under the other directives in due course. The only other mention of asylum or refugee issues in the public Brexit papers so far is a reference to Eurodac in the paper on security, law enforcement and criminal justice. The usefulness of Eurodac is recognised but there is no suggestion that the UK will attempt to retain access. As the leaked Home Office paper acknowledges, the CEAS is not the only set of minimum standards protecting asylum seekers and refugees. There is also the Refugee Convention itself as well as the European Convention on Human Rights and, to a lesser extent because of the lack of direct enforceability, various UN and international conventions. There are also common law standards of fairness, which can offer at least some procedural protection. None of these instruments tend to set out clear procedural safeguards, though, and all lack specificity on what standards are required.